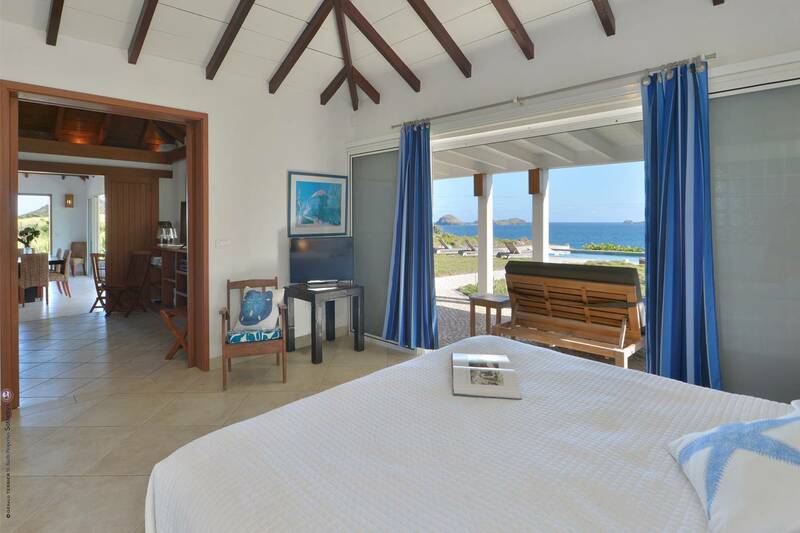 Dream About: A villa above the sea; listening to the sounds of the surf and reveling in those Caribbean breezes. 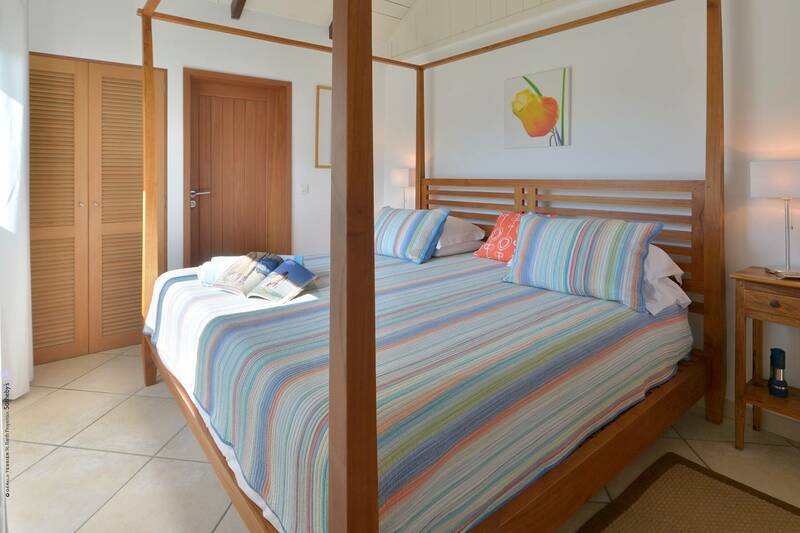 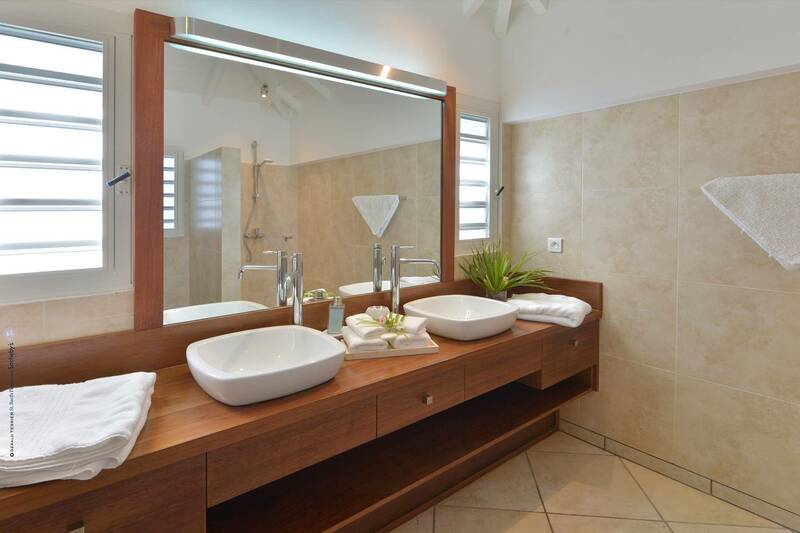 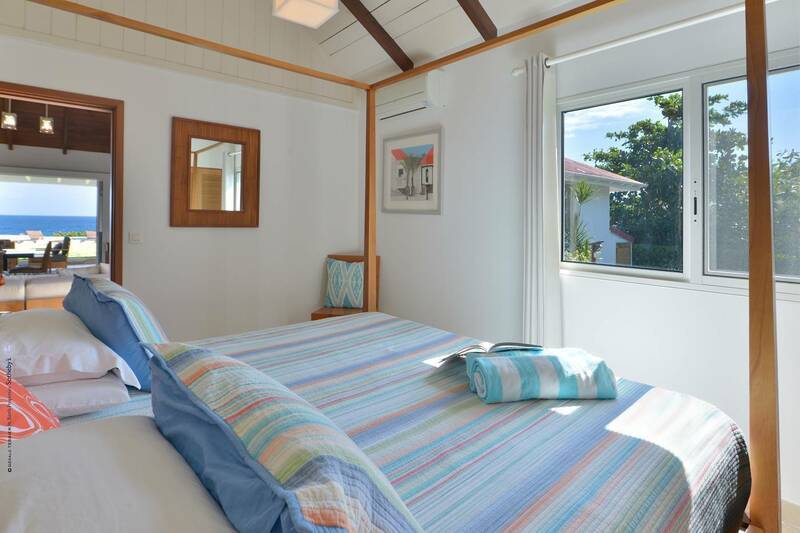 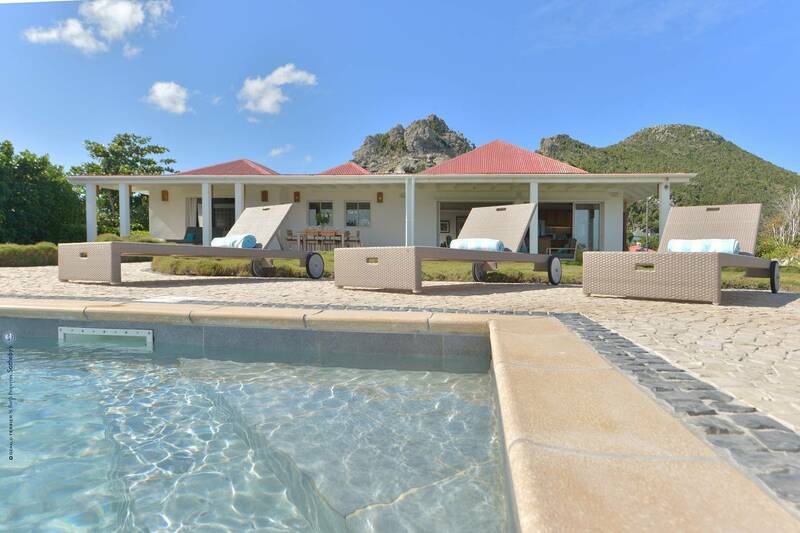 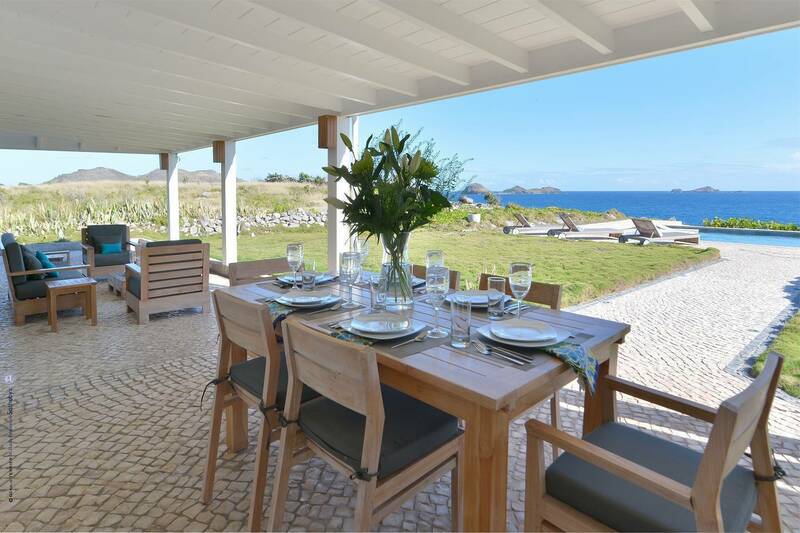 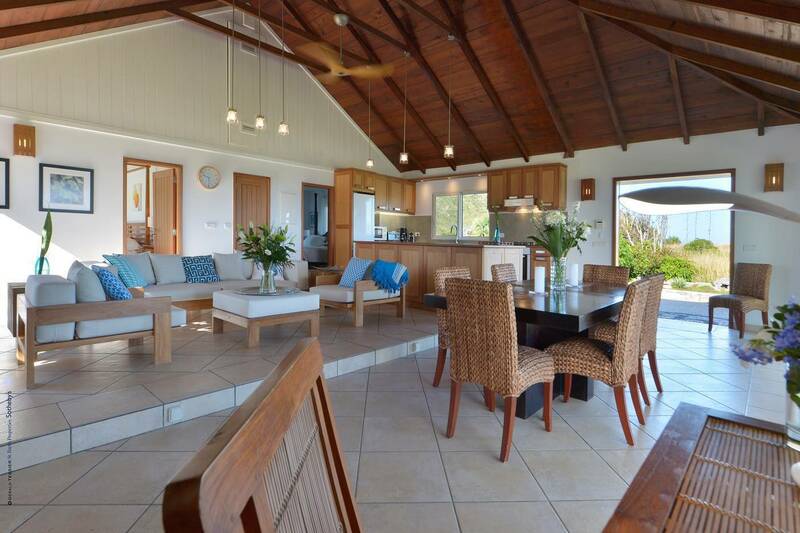 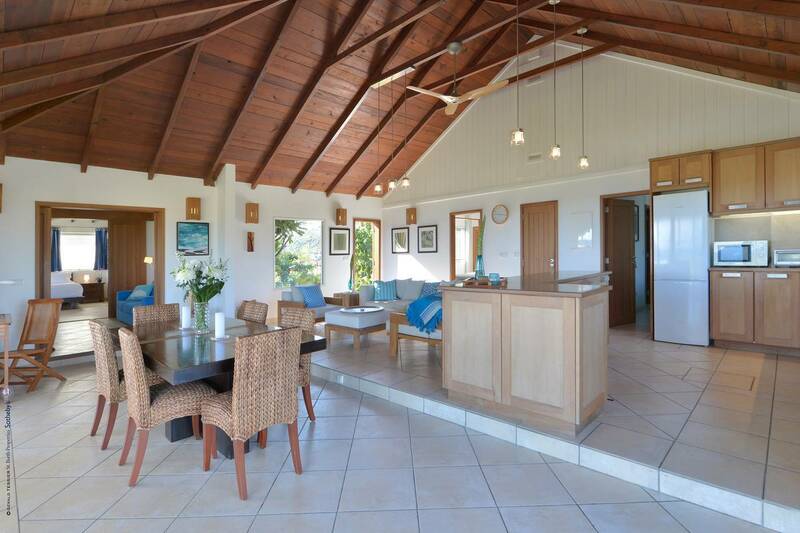 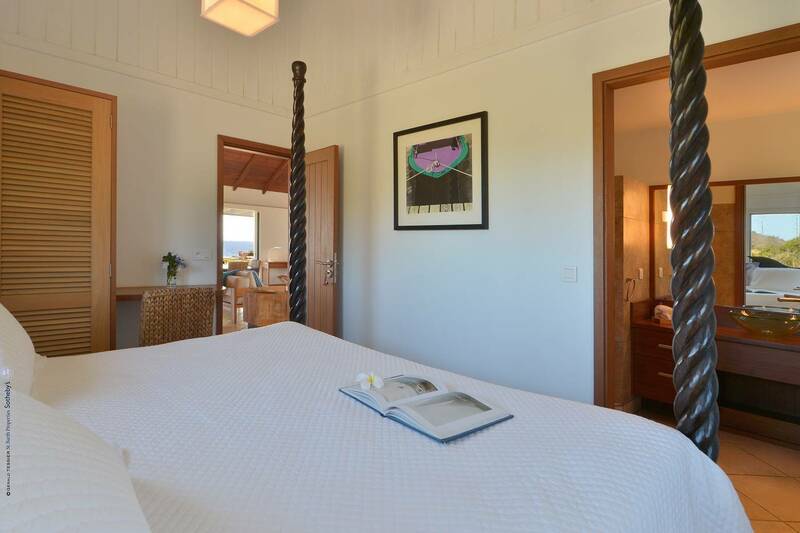 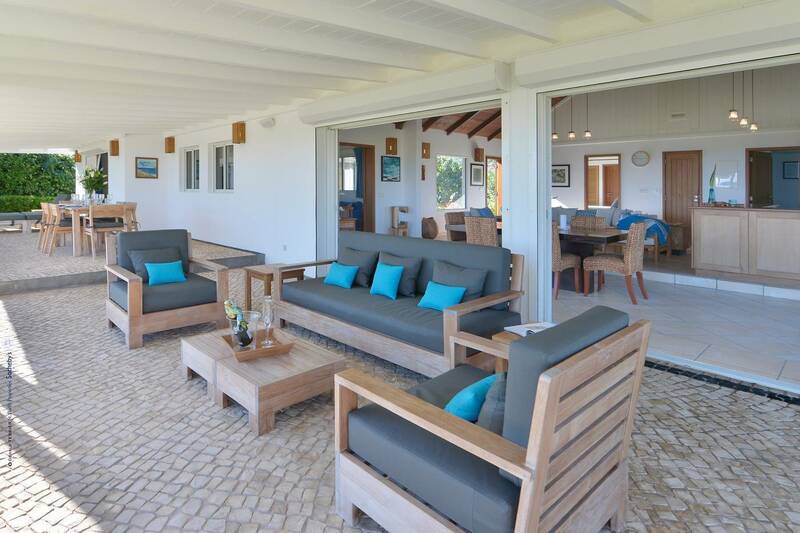 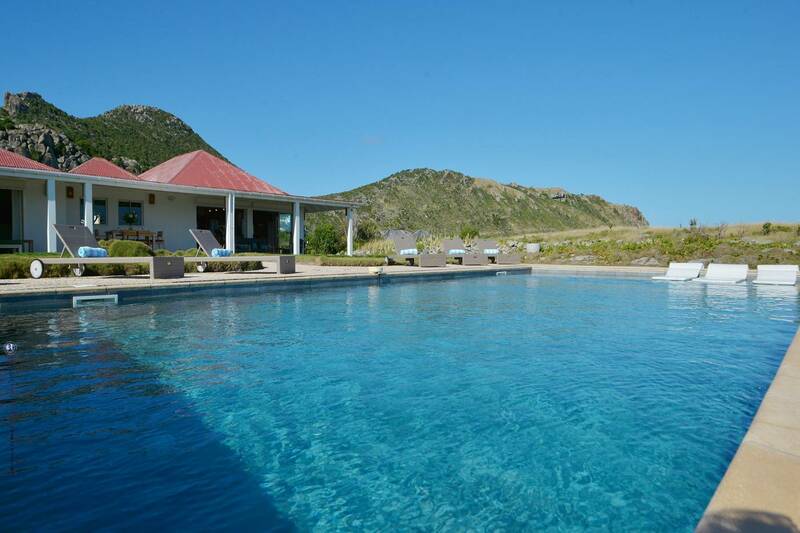 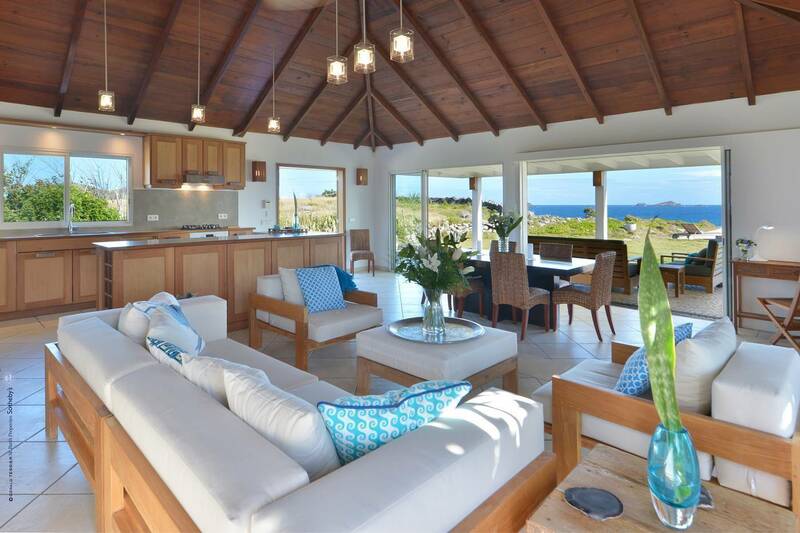 This delightful 3 bedroom villa in Anse de Lézards is cool in every way. 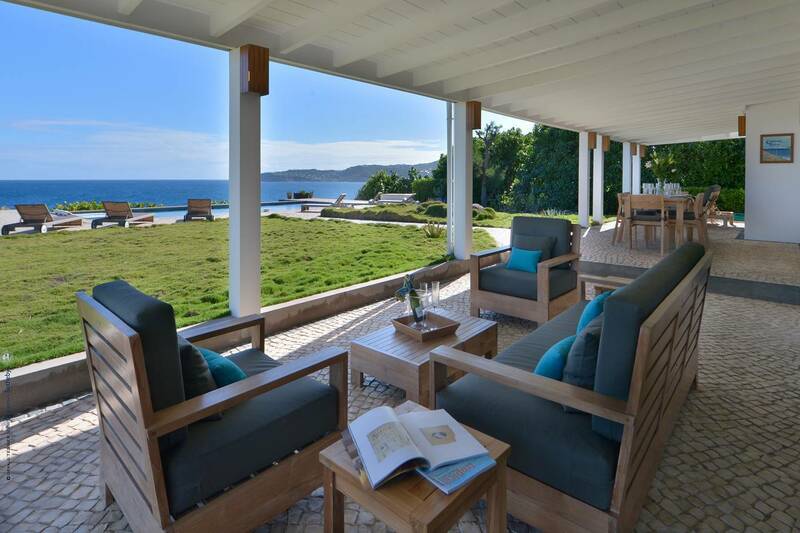 From its coolly casual décor - pretty shades of Caribbean blues and greens; its sea breezes from whence comes its name and its spectacular ocean front pool - all very cool. 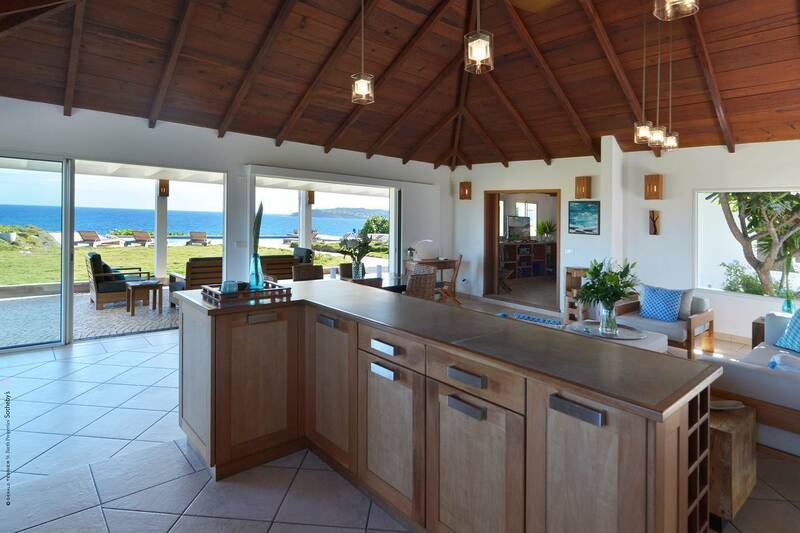 A well-equipped kitchen with an island bar opens up to airy living and dining spaces (seating for eight) and there is a guest bath as well as a den that makes for a cozy hideaway to watch the plasma TV. 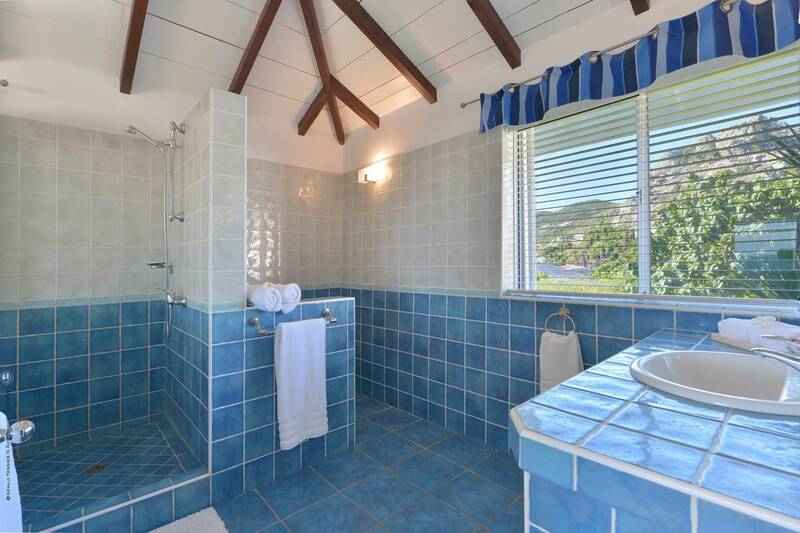 The three bedrooms (all king) have lovely en suite baths. 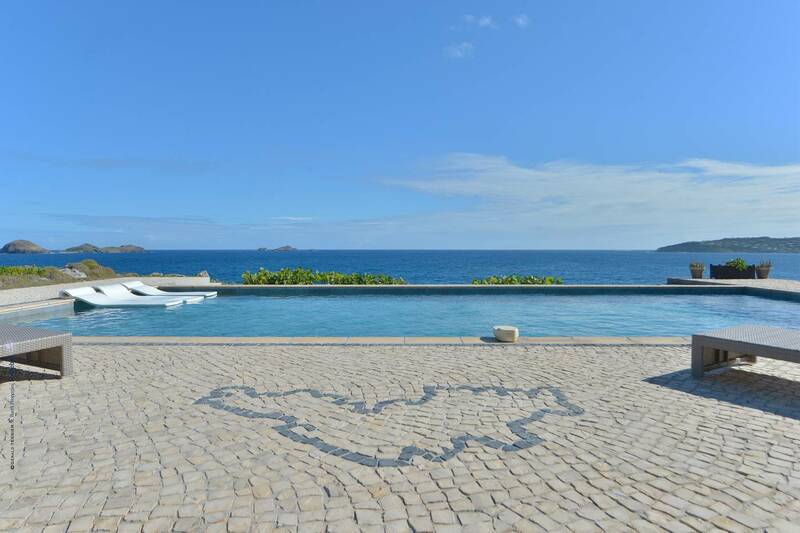 An expansive stone terrace features outdoor (covered) living and dining areas The terrace melds into a spacious front yard that meanders down to a bluff overlooking the water, and a striking swimming pool, set in beautiful stonework and sparkling in the sun. 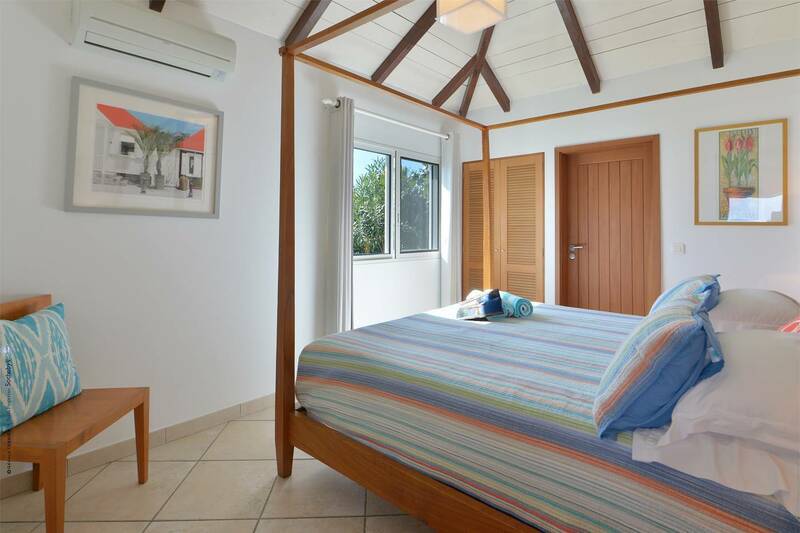 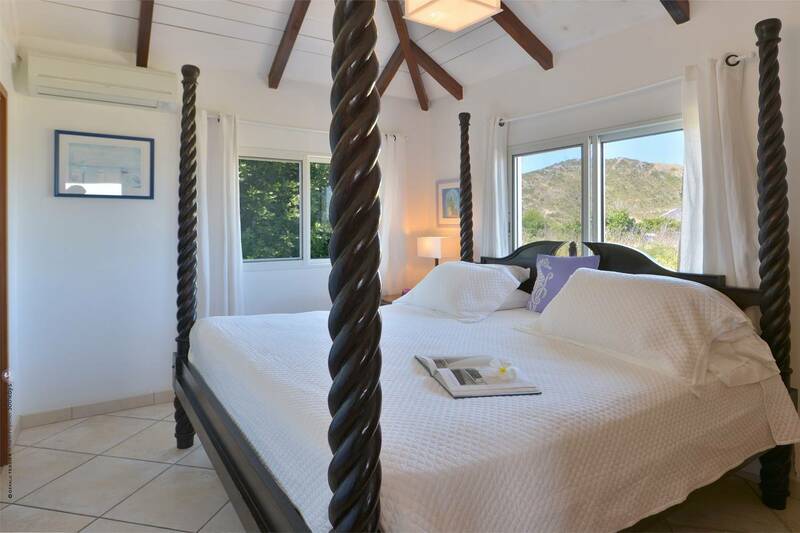 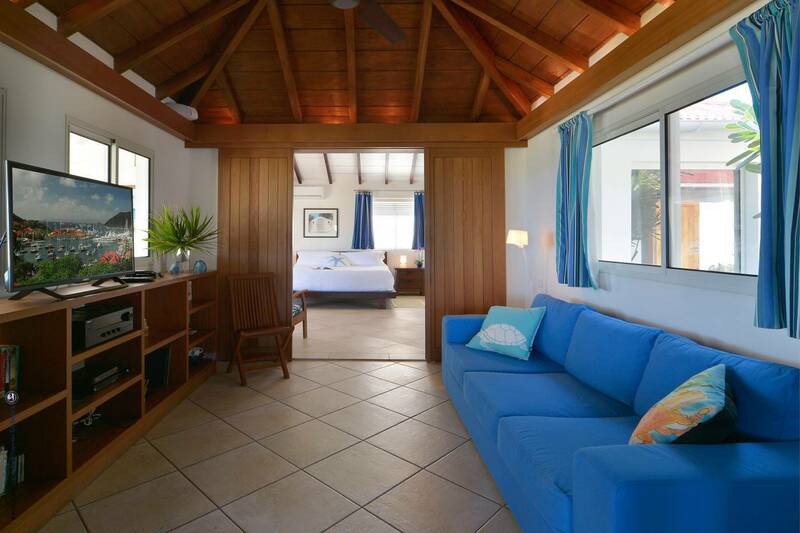 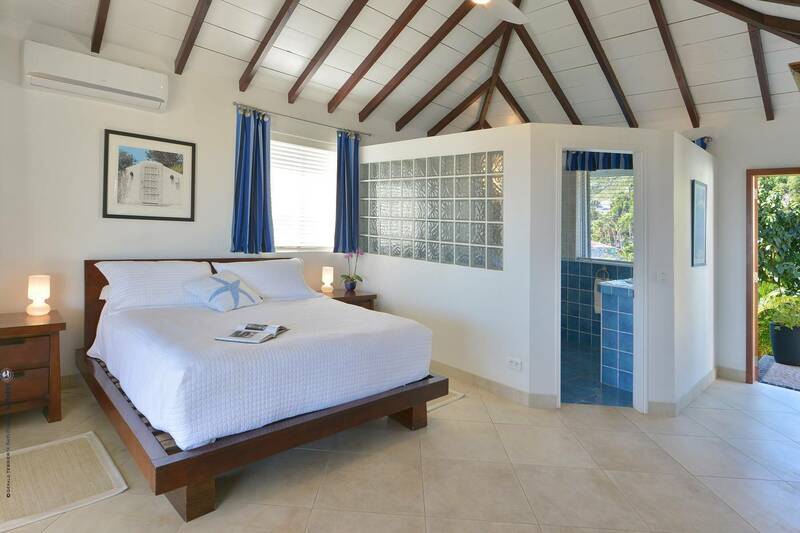 Caribbean Breeze is an ideal villa for couples and/or families. 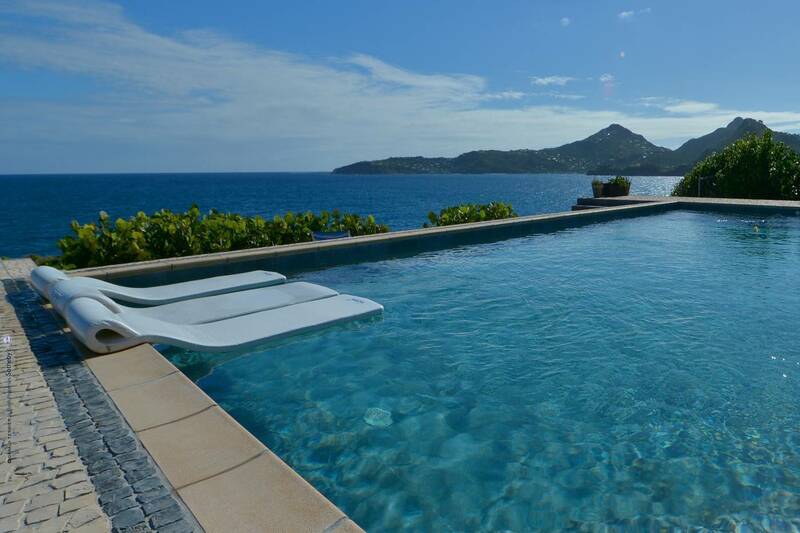 No smoking allowed at the villa. 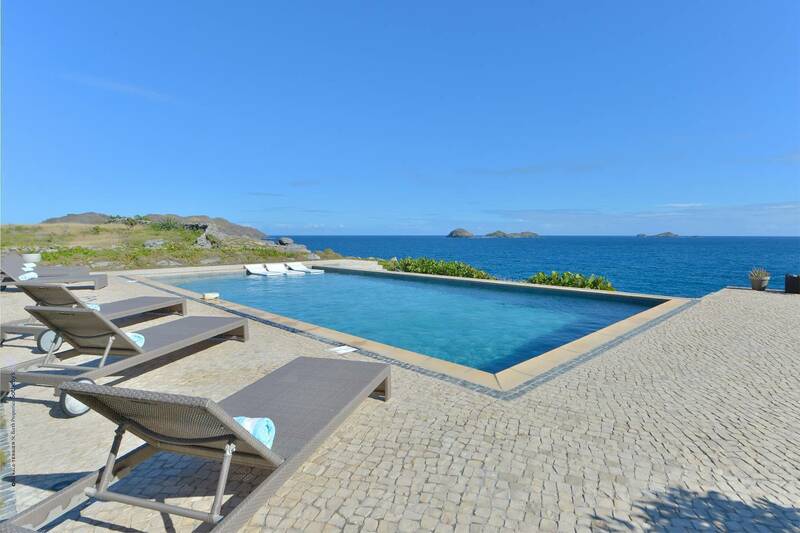 The gorgeous "seaside" oversized pool. 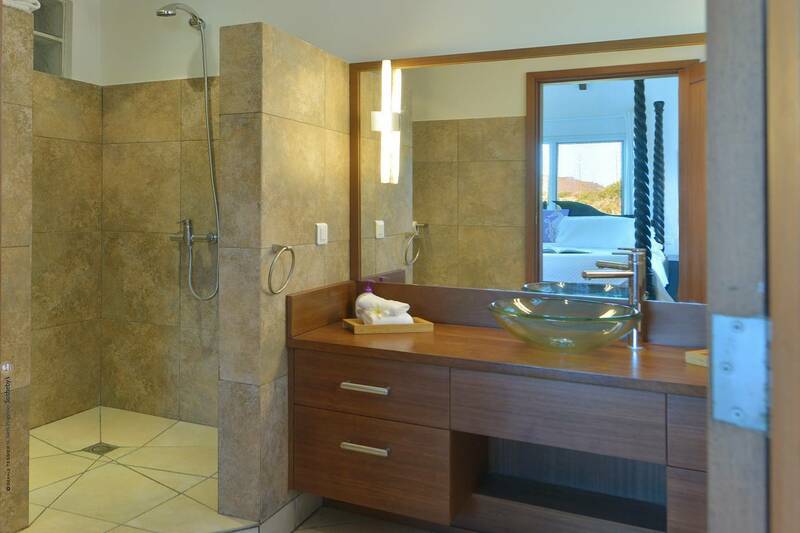 All bedrooms have baths en suite. 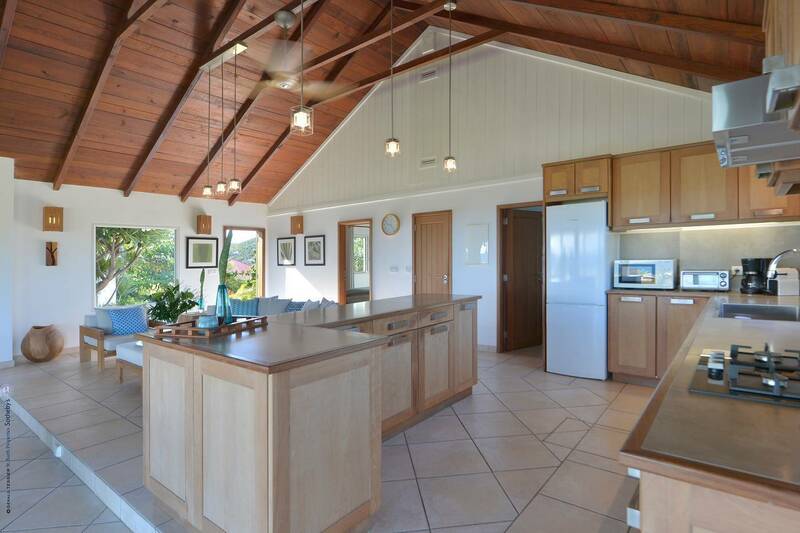 A covered patio facing the view opens onto a spacious yard and the terraced pool.